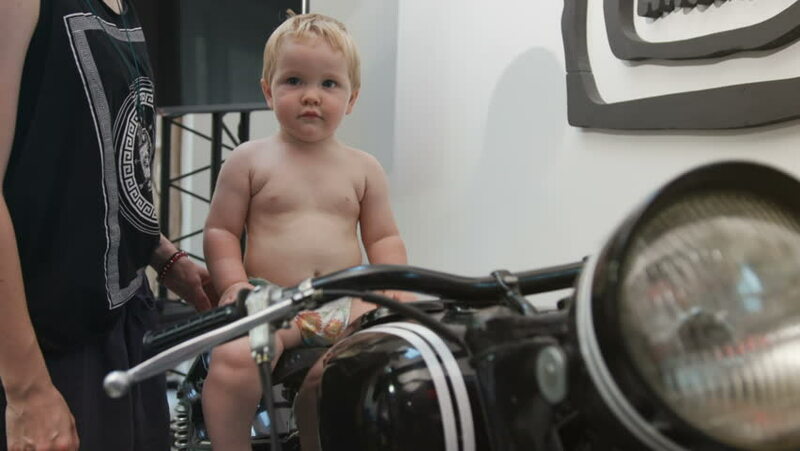 Cute little boy with blonde hair sitting on black bike. Portrait of caring Caucasian mom looking after baby. Home. Indoors.